Back in the 1890s the fast-growing Russian Empire and its global ambition worried the British naval staff much more than the threat posed by a then still small German Navy. 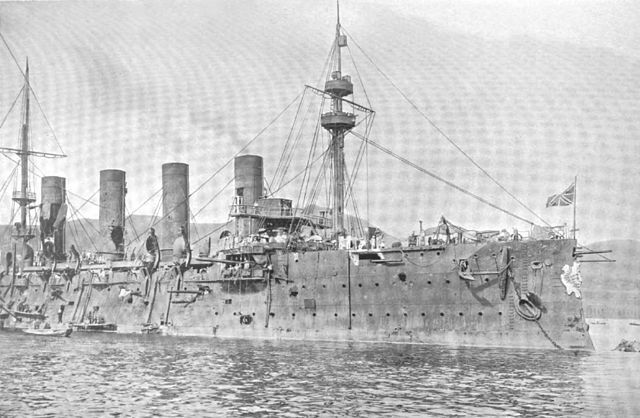 The Russian Navy in 1893 ordered for the pacific squadron two massive cruisers to be used as long-range commerce raider. 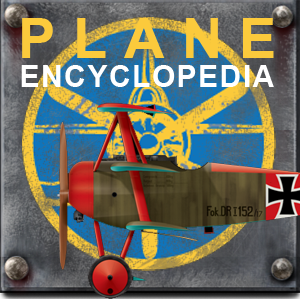 By 1896 the first was launched , the second was to follow in 1899. But her displacement and size reached a peak for an armoured cruiser, and the Royal Navy ordered the two Powerfuls in response. Indeed by 1896 with her 12,300 tons and heavy armament, the Rossia (bearing a very significant name) was the largest warship afloat in this category. Still today the Rossia and her near sister-ship are impressive with their tall bows, spurs, striking white hulls and three lines of portholes, they looked like liners crammed with artillery. Both took a significant part in the Russo-Japanese war, and later participated in WW1, Gromoboi even duelling with SMS Von der Tann. Rossia counted four 8-inch (203 mm) 45-caliber, Pattern 1892 guns sponsoned on each side of the main battery decks. These guns fired a 193.5 pound (87.8 kg) shell at 2950 feets per second and 12,000 yards only due to a lower max elevation. There were therefore no main guns on the deck as the secondary battery, which comprised no less than sixteen 6-inch (152 mm)/45 Pattern 1892 guns was also entirely placed in barbettes or hull embrasures (center). Two of these Canet guns were mounted in the bow and stern. They had a better range (12,600 yd) but their twice lighter 91.4 pound (41.5 kg) shells hit the target slower (2,600 feet per second (790 m/s). Their tertiary artillery which was dealing with TBs comprised twenty 47-millimeter (1.9 in) Canet 43 1892 pattern guns, two 47 mm (1.9 in)/43 Hotchkiss AA guns and eighteen 37mm (1.5 in)/23 fast-firing revolver guns. The latter can hit any ship at the rate of 20 rounds each passing minute at 2700m. In addition for close-quarter duels, no less than five 15 inch (381 mm) torpedo tubes were mounted above the water line, but their original 1880s Whitehead torpedoes were replaced by better models in time. A real progress on the previous Rurik’s relatively low-grade steel plates, the Rossia, like the Gromoboi, was fitted with newly developed Harvey armor. Krupp armour was a first choice, but Russian production proved too complicated. Both had their bottoms sheathed in wood and copper to reduce biofouling. Both also shared a bow that trimmed badly in bad weather, and through improvement the issue was somewhat solved, both ships estimated being good sea boats, with smooth roll due to tumblehome sides. Apart their thick conning towers (12 in or 305mm) in Krupp armour, Rossia had a better armoured belt than the Gromoboi: The waterline belt extended from the stern to almost the bow (but 80 feets), extended 1.4 m above the waterline and 1.2 m below, and 8 inches (203 mm) thick, reduced to 6 abaft the machinery spaces, 5 at the stern. This belt was closed off at the forward end by a 7 inch transverse bulkhead. Gromoboi’s belt was reduced in thickness by 2 inches (51 mm), shorter and less tall above waterline. The barbettes were 4.7 inches (119 mm) thick, decks 2–3 in (51–76 mm). To act as commerce raider, Rossia was fitted with a unusual machine arrangement, with one large vertical triple expansion steam engine driving the two external shafts and one smaller cruiser VTE engine for the central shaft. What was really unique was there was not enough steam to drive all three engines simultaneously, so either the central one, or two external shafts had to be uncoupled. No less than thirty-two Belleville water-tube boilers fed these VTEs. 15,523 ihp (11,575 kW) on trials gave about 20 knots (to be precise 19.74 knots or 36.56 km/h. 2,200 long tons of coal gave a 7,740 nautical miles (14,330 km; 8,910 mi) radius and by 1898 oil fuel was also tried. The Rossia, often assimilated to Gromoboi as they shared the same hull, were very similar and are so presented here. However, they were not sister ships, differing in many aspects, the Gromoboi being heavily modified in the meantime. Overall, both were derivative of the Novik, a mixed cruiser with sail and steam, but their masts had only a reduced sail. 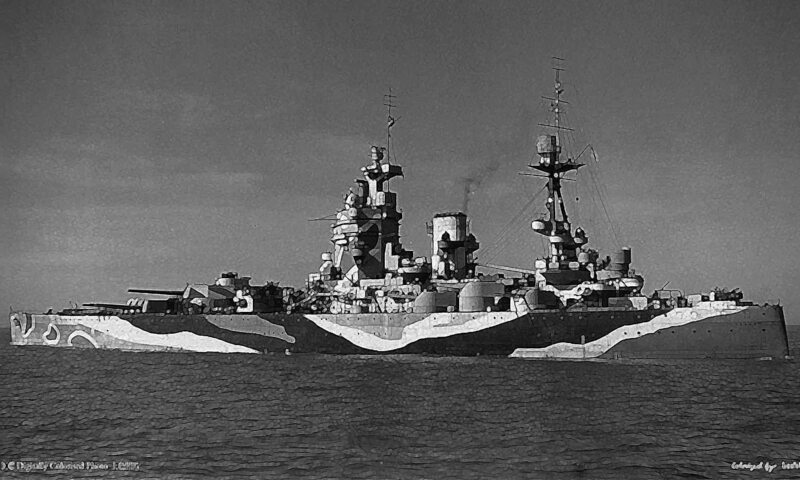 both had similar length, showed four funnels, short foremast and armored tops. Rossia’s original secondary armament comprised twelve 3-in (76 mm) against 24 on the Gromoboi, which in addition only four 3-pdr (47 mm) against twenty on the Rossia, and four 1-pdr (37 mm) against fourteen on the Rossia. Distribution was also different, the secondary guns of the Rossia being placed in side ports, while those of the Gromoboi were in barbettes, giving them a better range. In addition, the belt shield was inferior on the Gromoboi, and she was significantly slower. The two units took part in the Russo-Japanese War: They were present at the battle of Uslan and badly hit, but resisted enough to escape. Returning to port, they were so riddled as to be nicknamed “tin strainers”. Their protection was deemed disappointing. In 1906, their drydock overhaul was used to re-arm them with six 6-in (152mm ) guns, tertiary armament being reduced to fifteen 3-in (76 mm) and two 1-pdr (37 mm) plus two TTs instead of the original five On the Rossia. 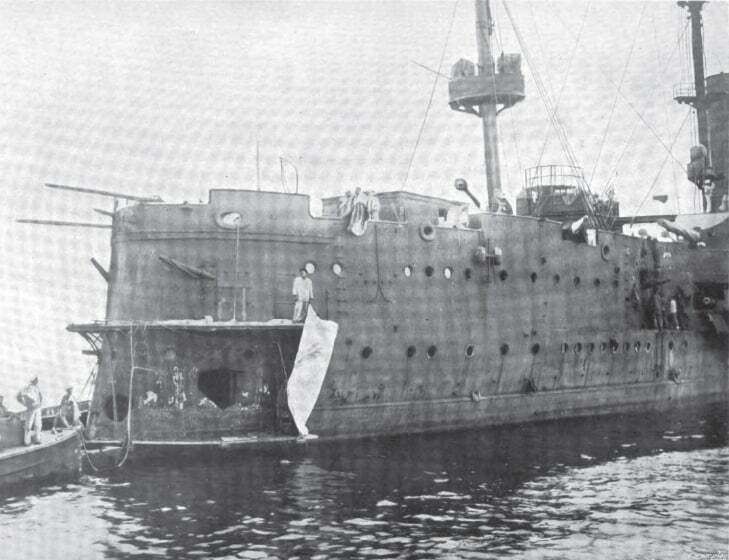 Gromoboi in 1922 grounded at Liepaja. She was broken up in situ by a German company. Built at Baltic Works, Saint Petersburg, the large cruiser was foundered on a sandbar en route to Kronstadt for fitting-out. 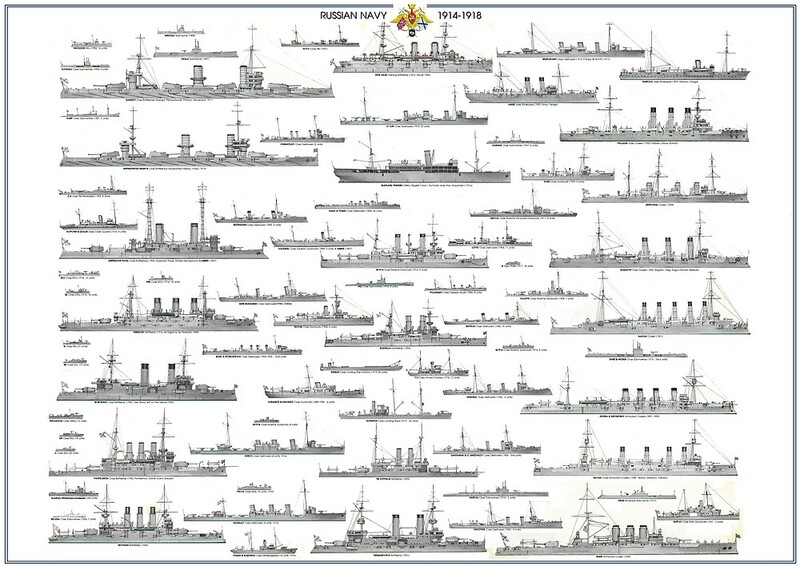 Before even finishing her trials she participated in Queen Victoria’s Diamond Jubilee Fleet Review in June 1897 at Spithead, and departed for Nagasaki, Japan in March 1898, then joined Vladivostock where she remains until the outbreak of the war in 1904. She was the flagship of the far east squadron that also comprised the Gromoboi, Rurik, and Bogatyr under command of Rear Admiral Karl Jessen. They undertook sorties against Japanese shipping bound to Port Arthur, assisting the siege, with some success. She also tested an observation balloon for some time. 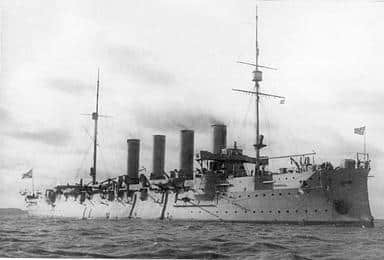 This was both cruiser real test of fire: Th Russian squadron blockaded at Port Arthur tried to break out but were rebuffed with heavy losses at the Battle of the Yellow Sea. Jessen’s squadron departed on August, 10 to assist it, loosing Bogatyr en route, reaching the island of Tsushima at dawn but failing to see any Russian ship leaving Vladivostock. They however found the blockading “flying” Japanese squadron (Vice Admiral Kamimura Hikonojō), and cruisers Iwate, Izumo, Tokiwa, and Azuma. However at night, both squadron failed to spot each others and passed by, but at 5:00 am, after maneuvering, both squadron this time had visual contact and battle began at 5:23, opening fire at 8500m. 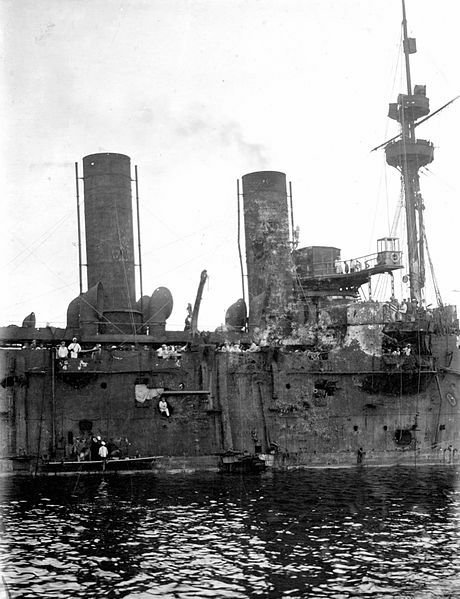 All four Japanese armoured cruisers concentrated on the rear ship Rurik, and was left behind. Both squadrons tried to get in range, and at 06:00 Admiral Jessen turned back to reach Rurik and allowed her to participate in the ensuring fire fest. But as Rurik was hit again, this time Rossiya and Gromoboi placed themselves between the Japanese and the wounded cruiser. They scored many hits on Iwate but the Japanese replied and put Rossia on fire (which was extinguished 20 min later). Both ships resumed manoeuvers but at 08:15 Jessen ordered Rurik to join them to Vladivostock. Both ships fought a fighting retreat for 1h30, being slowed sown at 15 knots. Eventually the Japanese broke off and turned back to finish off the Rurik, previously sunk by the slower Naniwa and Takachiho. Damages on the Rossiya were relatively serious, but no hit was scored under the waterline and repairs could be done in two month. 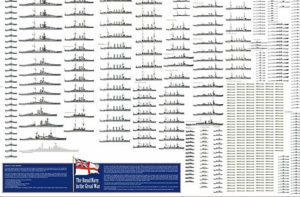 She has taken 19 hits starboard and 9 port, with 44 dead and 156 wounded. Half the losses on Gromoboi, because the captain ordered his crews manning the exposed light artillery to lay down and those manning the unexposed guns to go below. 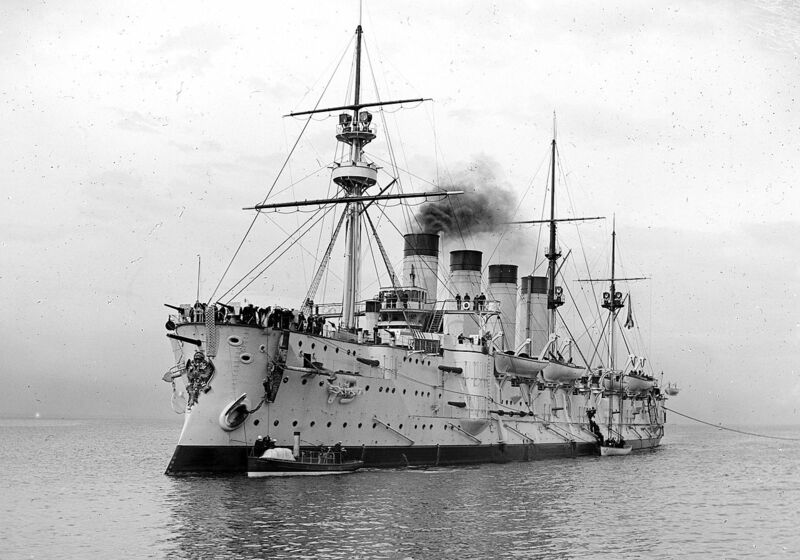 After the war, Rossiya returned to Kronstadt on 8 April 1906, for a three years refit. 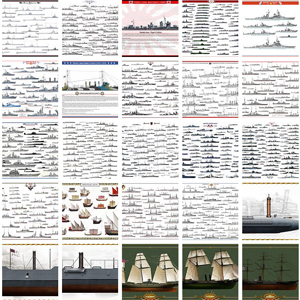 Masts and armament, were revised and redesigned, with the addition of four guns broadside. In 1909 she visited the Azores, participated in King George V’s Coronation Fleet Review in June 1911 and Copenhagen. She later cruised the Mediterranean from April 1914 when the war broke out. She was mobilized and quickly transformed as a minelayer for the 2nd Cruiser Brigade of the Baltic Fleet. Together with Oleg and Bogatyr she laid a large minefield in january 1915 between Kiel and the Mecklenburg coast, claiming light cruisers SMS Augsburg and SMS Gazelle (badly damaged but not sunk). In october 1915 her armament was augmented again, and she ended with a broadside of six eight-inch and seven six-inch guns. With the revolution, she came under control of the Soviet Red Fleet in September 1917 and later joined Kronstadt, making her “ice voyage” before being interned and eventually sold in 1 July 1922 to the German Company to be broken up. Foundered en route on the coast of Estonia she was later salvaged and towed to Kiel to be broken up. 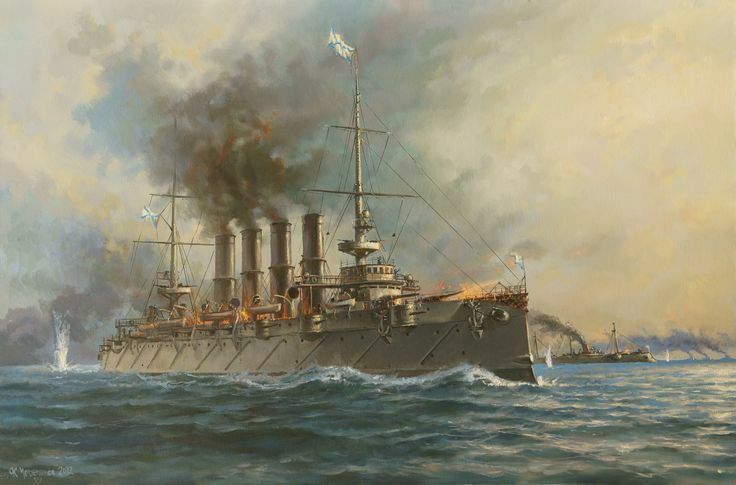 Gromoboi for “Громобой” meaning “Thunderer” was also a commerce raider and served as such during the Russo-Japanese War of 1905, but was eventually severely blooded a the Battle off Ulsan when going back home to Vladivostock. Transferred to the Baltic like her sister-ship she took part in ww1. Before fitting out she was forced aground by sea ice, and later departed for repairs. She left Liepāja on 10 December 1900 for the far east, and when stopping at Kiel, she was examined by Prince Henry of Prussia. 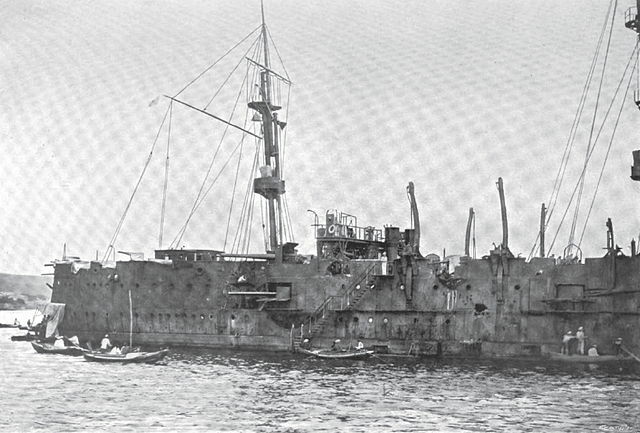 She was later present at the constitution to Australia, visiting Sydney and Melbourne and then joined Nagasaki and finally reached Port Arthur on 29 July 1901; By the time the war erupted she did several sorties against Japanese shipping, claiming for example the Hitachi Maru loaded with siege howitzer and troops, and followed the fate of Rossiya at the battle of Uslan. As a consequence of her fighting retreat towards Vladivostock she suffered at least 15 hits starboard, 7 port side of the hull and many more on the superstructures, deploring 87 dead and 170 wounded. In Vladivostock she was repaired and armament was modified, with the addition of six new 6-in guns, received Barr and Stroud rangefinders and Telefunken radio equipment but a mine hit later condemned her to extensive repairs until the end of the war. The interwar saw a lengthy refit at Kronstadt, and she emerged with engines and boilers reconditioned, less light guns, new 460mm TTs, foremast removed, artillery rearranged, armor modified (upper-deck casemates was increased to two inches, new casemates built, telemeter towers…). After her engine refits in the summer of 1911 she reached on trials 18.5 knots. 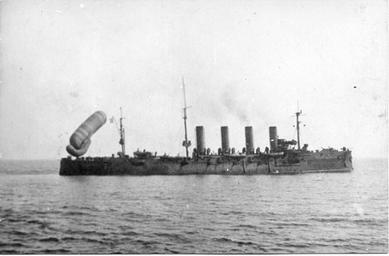 During the great war she was part of the 2nd Cruiser Brigade of the Baltic Fleet and was used as heavy minelayer, carrying 200 mines. In one of her sorties on August 10, 1915she duelled with German battlecruiser SMS Von der Tann at the entrance to the Gulf of Finland. 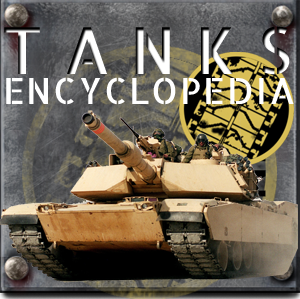 Until 1917 her armament was modified once more, when she traded its 6-in guns for an additional eight-inch guns. She also received two 2.5-inch and two 47 mm anti-aircraft guns while the light artillery remaining was deposed. Part of the Soviet Red Fleet in September 1917 she departed for Kronstadt and was placed here in reserve. However on October 1920, her crew mutinied and scuttled the ship. 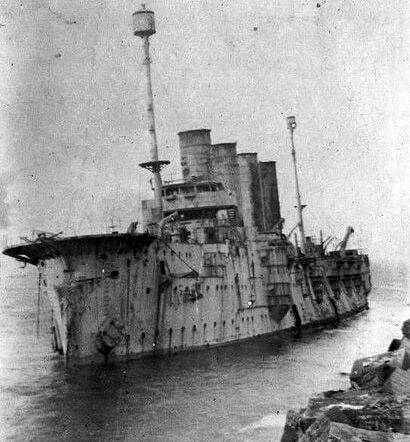 later sold for scrap to Germany she ran aground in a storm near Liepāja and was later broken up in situ.